Did you know 70% of cats and 80% of dogs suffer from several inflammatory conditions in the mouth? As gums become inflamed, the gap between the tooth and gum margin becomes deeper. This allows bacteria to find their way in increasing further oral infections. With regular dental care, we can prevent some of these common problems, and that’s why we’re offering FREE dental checks* for pets. For more information on keeping your pets teeth clean, please visit our pet advice section, where you can find out more on dental care for cats or dogs. To book your complimentary dental check or to discuss dental care options for your pet, please call the surgery on 01405 812142. 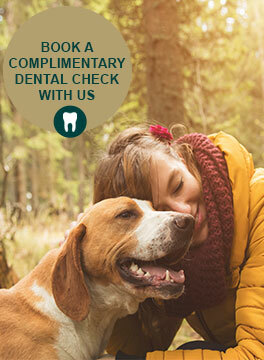 *Please note that this offer is valid for one pet per free dental check. The offer applies to the dental check fee only. This offer does not include any other services, any medication prescribed or products purchased which are chargeable and must be paid in full. This offer has no other monetary value. No cash alternative. This offer cannot be used in conjunction with any other offer or scheme, including The Healthy Pet Club. Evolution Animal Care is part of CVS (UK) Limited, a company which owns over 490 veterinary practices within the UK. Company Registration Number 03777473 – Registered Office: CVS House, Owen Road, Diss, Norfolk IP22 4ER.